Welcome to Grantly Hotel, London! 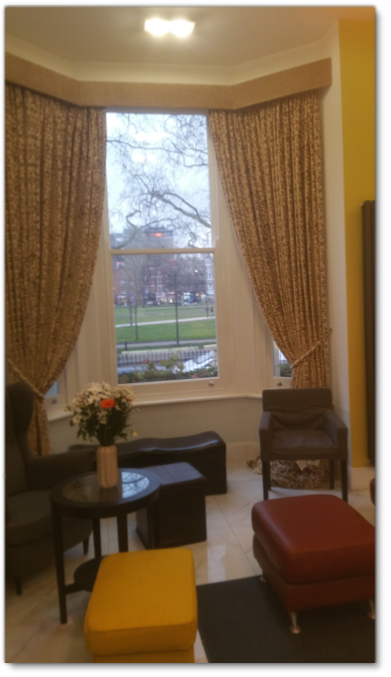 The Grantly Hotel is a quality Bed & Breakfast in London, situated across the road from the Shepherd’s Bush common green area. The property is about 75 years old, and was a former mansion. It has now been fully refurbished and tastefully converted to provide you with all you would have expected from a good quality Bed & Breakfast hotel, plus that little bit extra. Shepherd's Bush Tube Station (Central Line) is just a 5-minute walk from the hotel. Also minutes away from Goldhawk Road Station (Hammersmith & City Line) and Hammersmith Station (Piccadilly & District Line) with direct link to Heathrow Airport. You can find many local attractions including the Westfield Shopping Centre, Shepherd's Bush Empire and Olympia Exhibition Centre. Oxford Circus is a 15-minute tube journey away. All of the comfortably furnished rooms have en suite facilities and a TV for guests to use. Most rooms also offer views across Shepherd's Bush. An inclusive continental breakfast is served to guests in the comfortable and welcoming dining room. Wi-Fi is available throughout the building for free. Whether you are visiting London for business or leisure, Grantly Hotel offers you a great base, with a central location and easy access to the main areas of the city.